Who's turn to light the fire? 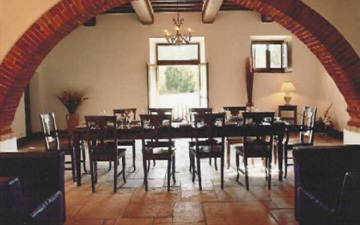 Walk through the double chestnut main doors and you'll find a magnificent vaulted hall with terracotta brick and stone floor which stretches through the house. Explore the rooms and you should find spacious comfort in each corner with plenty of creature comforts in all the right places. A further four bedrooms are situated on the second floor. 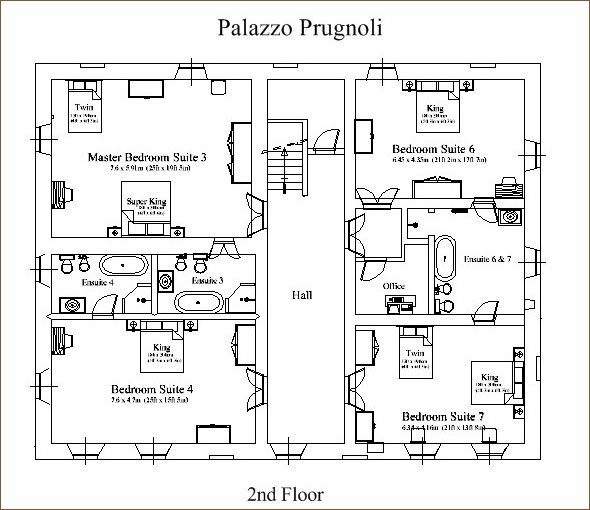 To the right are two bedroom suites (arranged as above), while to the left another suite is located consisting of a double and a twin bedroom with a connecting Jack and Jill bathroom. 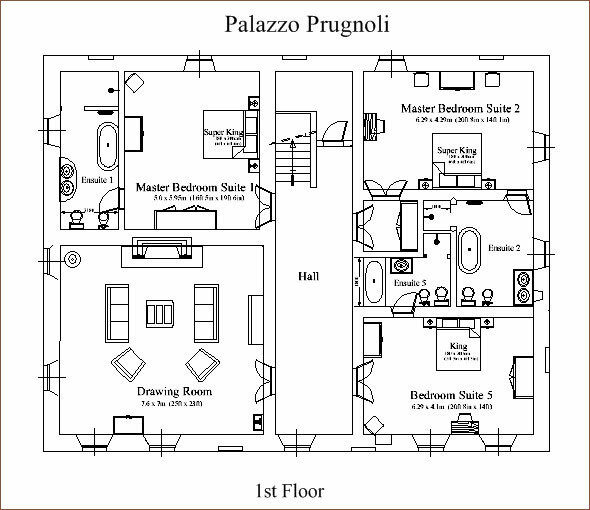 (second-floor plan) The last twin bedroom is located on the ground floor. The main living areas are on the ground floor (ground floor plan) including a sitting / games room with large flat screen TV, table football and comfortable sofas and chairs. There is a utility room with washing machine, dryer and a sink which is joined onto our “boot room" where complimentary golf clubs and tennis racquets can be found. 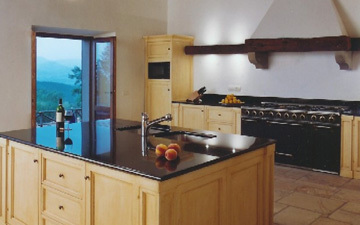 The villa's kitchen was designed to provide everything you need to cater for friends and family. Hand made and painted it has granite work tops, an island with twin sinks, 1.5 metre Godin range gas cooker, two larder fridge freezers, a microwave, two dishwashers and an enormous original marble sink plus plenty of storage room. Please ask about our in-house chef service when booking. 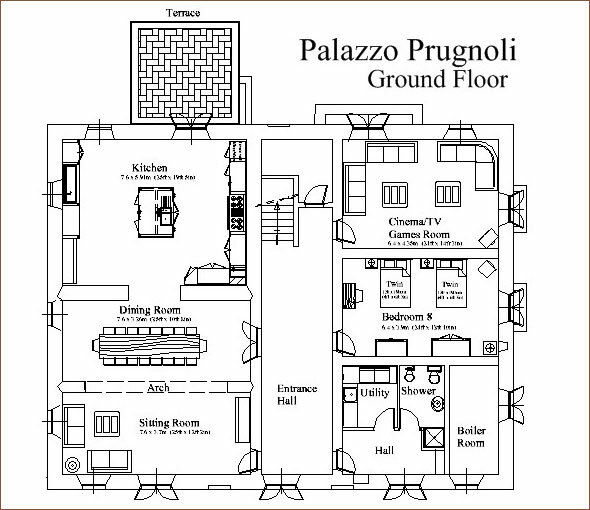 Take the vaulted stairway up to the first floor to find the drawing room (soggiorno). This is an airy room with a vast original fireplace, comfortable leather sofas, honour bar, integrated Hifi and an iphone docking station. An idyllic place to relax and unwind. The study is located on the second floor and is fitted with copier and printer. 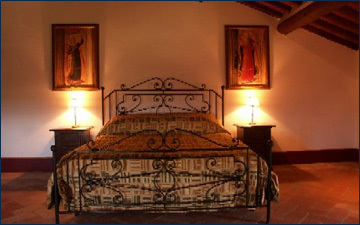 There is wifi access throughout the villa. 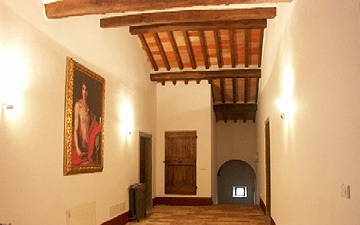 Original or reclaimed materials have been used throughout, including stone or terracotta floor tiles and beautiful pianelli (terracotta ceiling tiles). 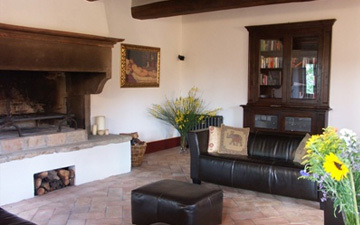 For today’s discerning guests, the house has been equipped with every comfort, including modern kitchen appliances, under-floor heating, beautifully appointed bathrooms wifi and a study.